All this Large and Unique 18k Yellow Gold Flower Pearl Pendant Setting needs is a pearl to start making a statement whenever it is worn. 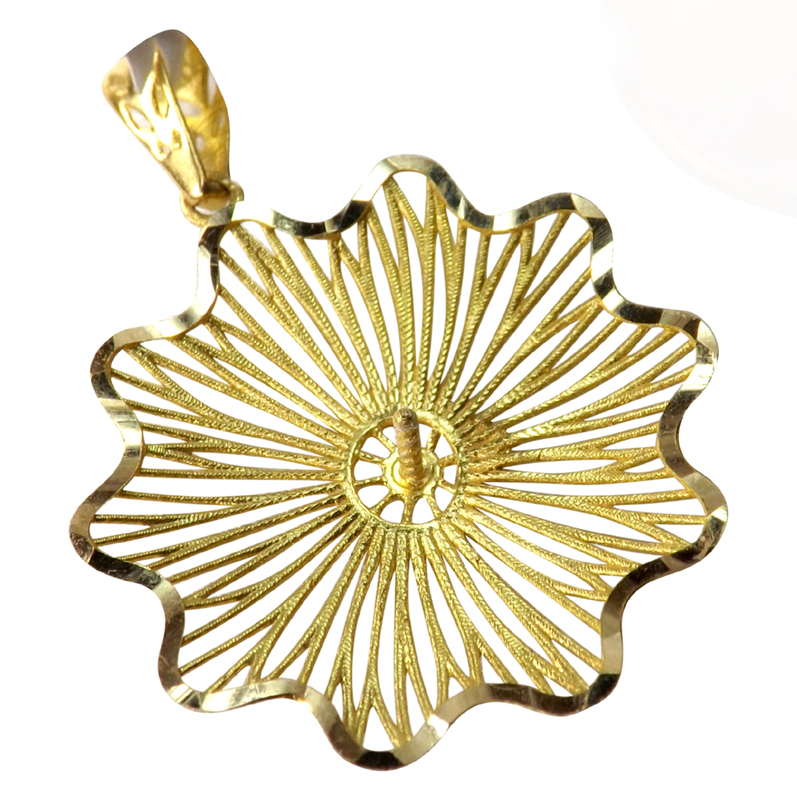 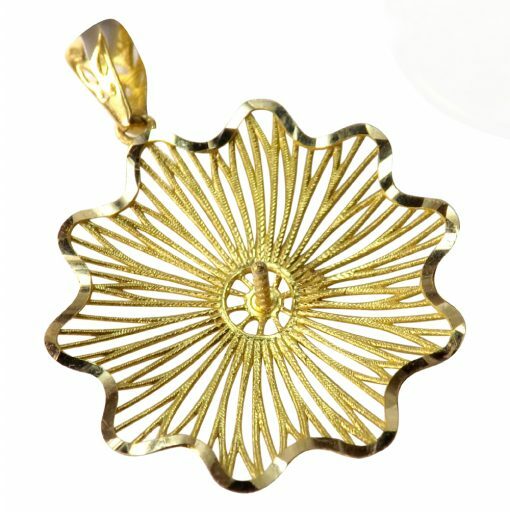 The design is a 11 petal flower, or a sunburst which is diamond cut for added dimension and sparkle. 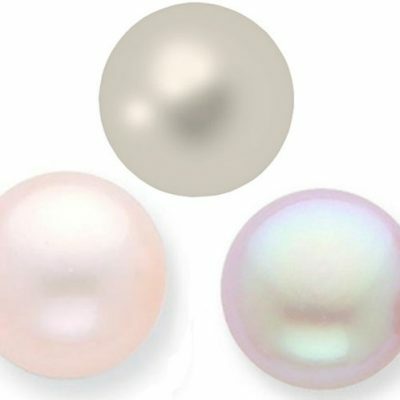 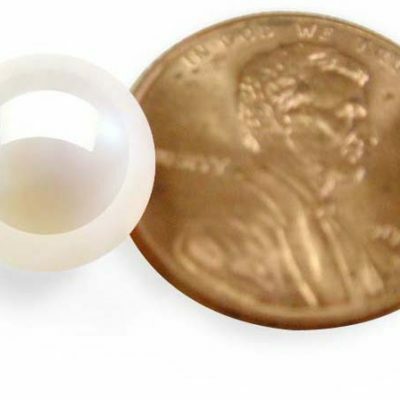 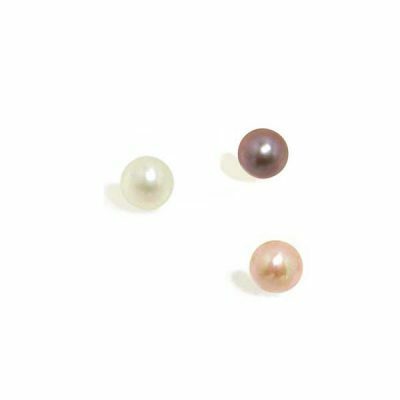 Any half-drilled round or button pearl, or stone over 5mm will work. 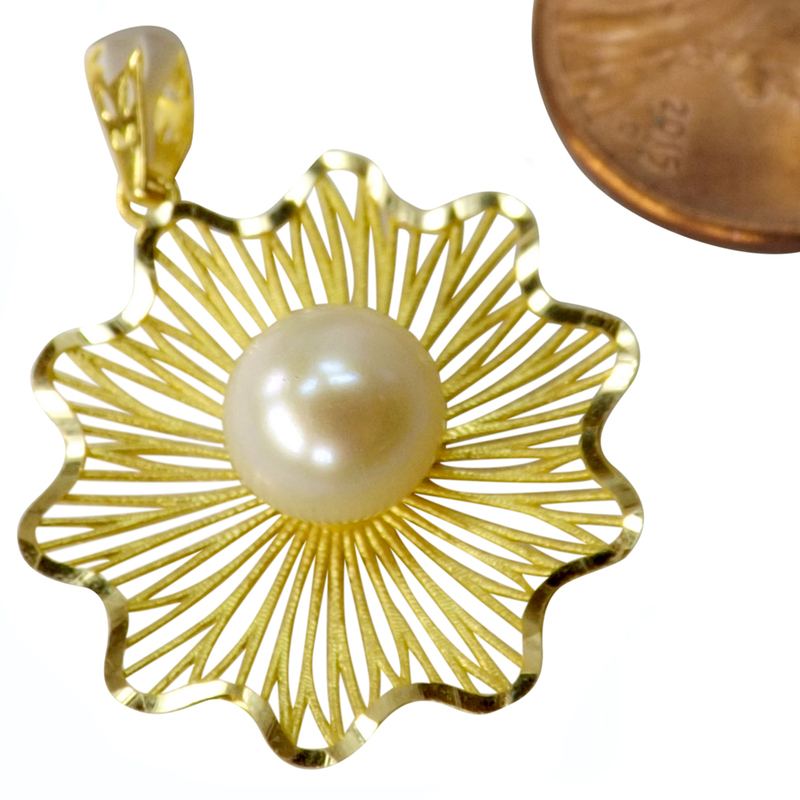 The setting is made of 18k yellow gold and is 7/8″ in diameter.